Hi, my name is Malissa. I am the teacher/director at Bella Grace Brightwater School Kindergarten. 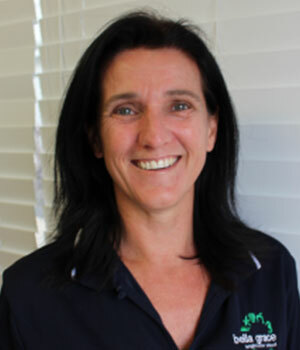 I hold a Diploma of Teaching and a Bachelor of Education ( Early Childhood ), and have been a part of the amazing Bella Grace team for more than 11 years. Prior to my employment with Bella Grace I was a classroom teacher with Education Queensland. I believe in inspiring children with a love of learning in a caring and stimulating environment, filled with fun and spontaneous laughter. The Bella Grace Brightwater School Kindergarten opened in March 2014. Since it’s opening we have created a dynamic, welcoming space that embraces each child and their families’ needs. Our kindergarten offers simultaneous high quality indoor outdoor play areas that are a haven for children to explore.The children learn through discovery, with caring and enthusiastic educators closely supporting their learning.